3D Appeal Makeover -- Review of Travis' Model, Part 2! 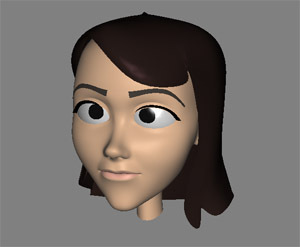 What are the elements of an appealing female 3D face? 3D Appeal Makeover -- Review of Travis' Model, Part 1! Hello! Here at 3D Appeal Blog, we will sit down with some animators from the upcoming film, RIO and talk about the dynamic between posing and rhythm & movement. This is sometimes expressed in animators' workflows: do you block your shots pose to pose, or focus on the motion of the parts as a layered approach and worry about hitting specific poses later? 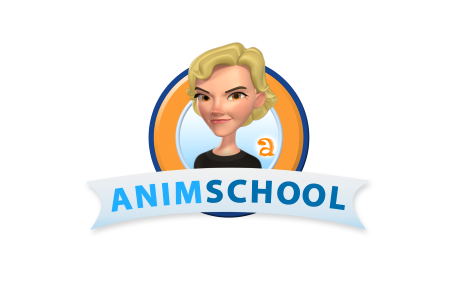 There is one thing for certain: I am still new to this industry and have much more to learn. But the more I animate, the more I realize how valuable and how much work I have to put into this one principle: smart posing. I believe that SMART posing is what separates a great shot from one that's brilliant! Ollie Johnston spoke about how people remember in forms of pictures, not movement, and said (and I am paraphrasing) that you have to find that picture for the audience to remember: one single pose that expresses the entire scene, shot, emotion, and feeling; to find the golden pose. Sometimes I see shots that--though they are animated well--they feel somehow "over-animated". The characters are moving so much that you cannot register any pose, and without letting a pose breathe, the audience can miss it, and so miss the impact of that moment. I think that one solid pose can be much more effective than multiple ones. I sometimes find myself doing this as well, planning and choosing too many poses when I can just work with one great one. Now I am not saying that ALL animation should be treated like this. You do need to consider everything: style of the film, what is needed for the performance, etc. Some shots do call for the acting to be busy and sometimes noisy, but even then, I think you want to pick a pose or two to hold. Not only to add contrast and texture, but to set them apart form all the other poses, adding importance to that beat. It will help highlight the emotion or thought in the performance. Because that is what it all comes down to: selling the emotion of the performance, the inner thinking or thought-process of what the character is feeling and thinking. Often, what the character is saying vs what the character actually means or feels. Planning, planning and more planning! Once you pick the pose that best represents the inner thought process and feeling of the character for that moment, it's then when you have to spend more time on polishing it and perfecting it. Clean silhouette, eye direction, clean lines, good center mass, balanced proportions and weight. These are all part of good posing. One example of great posing is Pixar's The Incredibles. This film is filled with smart choices. 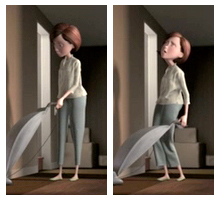 One simple take that always comes to mind is Helen Parr's reaction when she is vacuuming near Bob's office. This is when the vacuum starts picking up heavy dirt. That ONE pose said it all. This shot could have easily been over-animated, but it wasn't. I can't stress enough how important it is to find the golden poses in your work. To find them, let them breath, and let the audience take in that moment, better yet, feeling; and have them remember it.